Whilst sorting out my lush collection the other day I came across some products that I had been keeping safe from the 2014 Christmas range. I had kept them so safe intact that I had totally forgotten I had them. So I decided to dig them out and do some little reviews on these fabulous Christmas products. 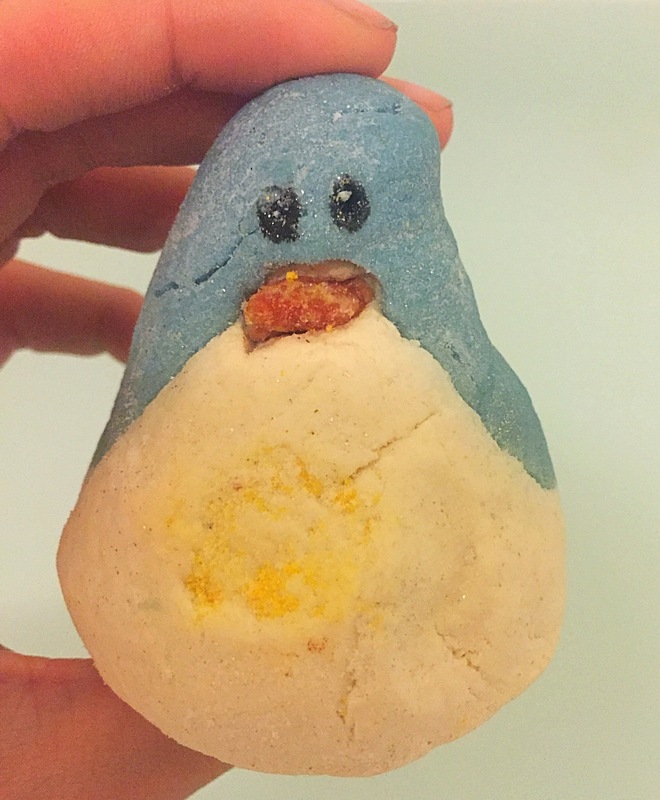 The first product that I really wanted to try was the Christmas penguin bubble bar. This bubble bar is possibly one of the cutest looking bubble bar lush have created (Which may be the reason why I never used him when I original brought this product). Shaped like a little penguin this bubble bar is great for children and those young at heart. Lush are always very creative with their product designs and I feel this little product is perfect for part of a winter range. Scent wise it’s safe to say after keeping this bubble bar for over 2 years it has lost quite a lot of its scent and it is no where near a strong scented as when I first brought it. However I was really surprised to find that It actually still smelt lovely and that I could still pick up on its original scent even if it was a little weaker. Featuring Sicilian lemon oil, orange flower absolute and Sicilian mandarin oil this bubble bar has quite a citrusy scent. It does however have a floral twist to it making the scent less sharp than most citrus product. 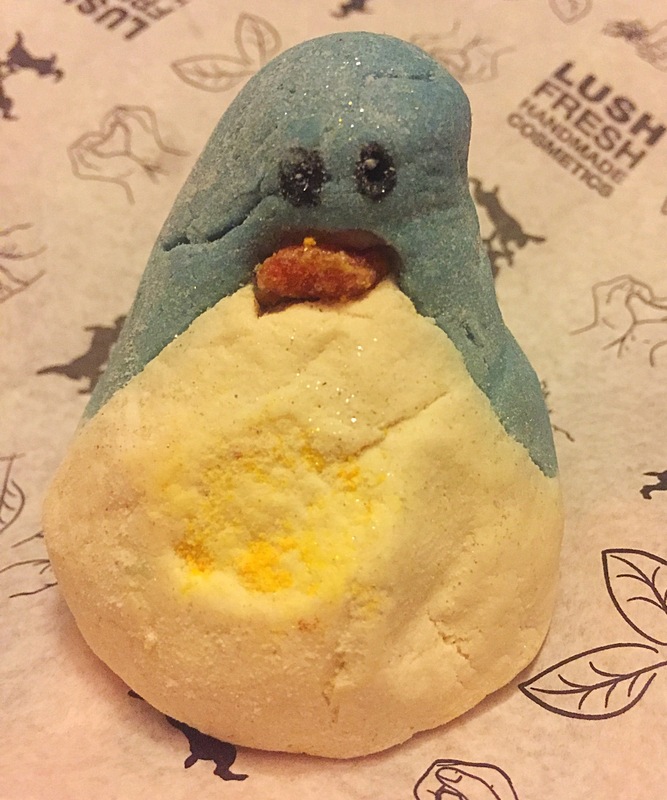 I decide to use half of the Christmas penguin bubble bar for one bath and was impressed with the quantity of bubbles it produced. To say this product is quite old I was expecting it to not really work any more. It however created just as many bubbles as ones that I used fresh in 2014. 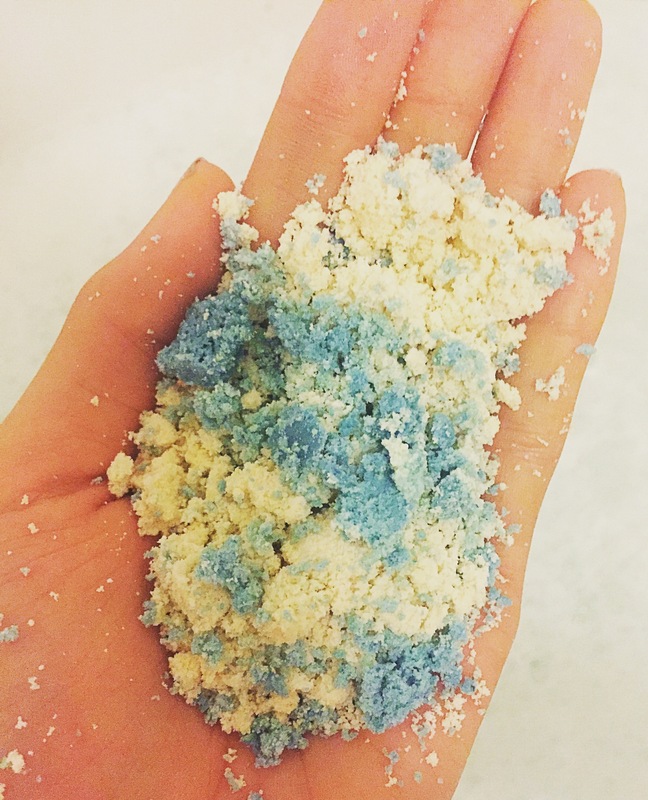 The bubble bar also turned the water a lovely blue colour creating a gorgeous winter lagoon. 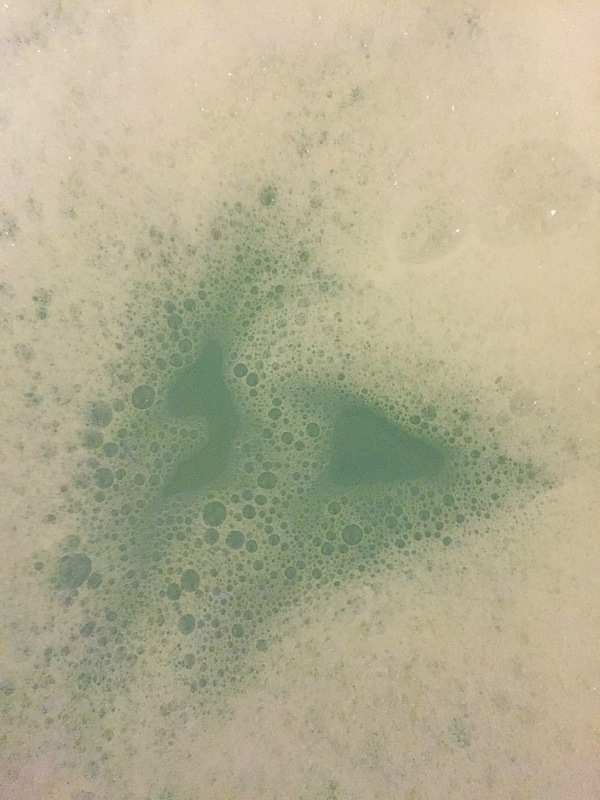 I found that this bubble bar made the water feel very silky and it felt very moisturising on the skin. Overall I love this product and Im really hoping that they might re realise this penguin as part of the 2016 Christmas range. Ingredients – Sodium Carbonate, Cream of Tartar, Sodium Laureth Sulfate, Lauryl Betaine, Cornflour, Perfume, Bergamot Oil, Sicilian Lemon Oil, Orange Flower Absolute, Sicilian Mandarin Oil, Water, Citric Acid, Glyceryl Stearate SE, PVP, Hydroxyethycellulose, Titanium Dioxide, Limonene, Linalool, Hydroxycitronellal, Butylphenyl Methylpropional, Colour 42090, Colour 42053, Colour 19140:1, Colour 77499, Cola Pip. What a little cutie! Surprising that it still works!